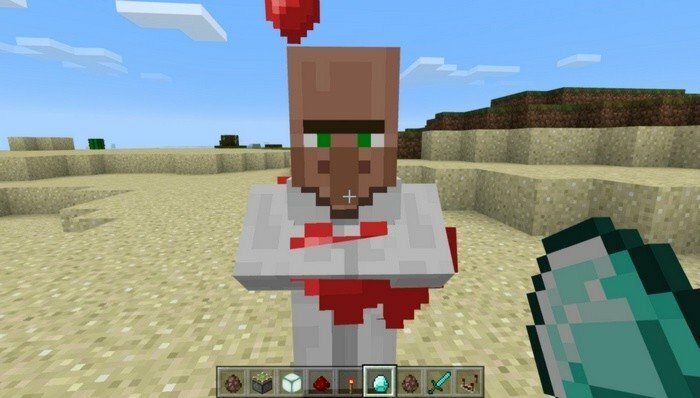 This mod allows you to get a brave and useful companion for your adventures in Minecraft PE 0.16.2. You will be able to tame a villager and use him as moving storage for your stuff. 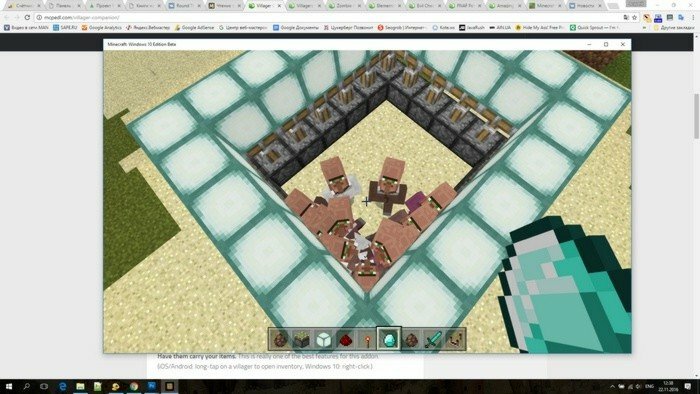 Villagers likes diamonds, they like them so much, that will follow you until it in your hands and if you give it to one of them, you'll be able to tame him. Then, if you tap on your tamed villager - it will open his storage. 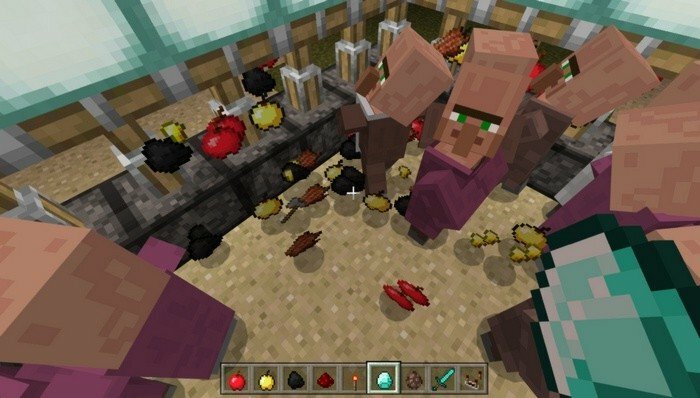 Some villagers types, like: librarians, priests and butchers can trade with you, just give them something and they will exchange it for some random stuff.